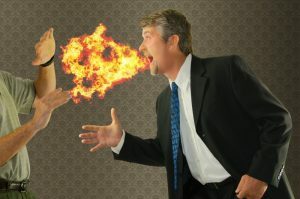 7 Tips for Fighting Bad Breath from Your Dentist in San Marcos! When you’re involved in face-to-face conversations, do feel insecure about the freshness of your breath? Have you noticed that people seem to back up when you’re talking? These are signs of chronic bad breath and your dentist in San Marcos says you don’t have to settle for this. As you read on, he provides 7 tips for fighting bad breath and preventing oral problems from arising. Brushing and flossing your teeth are two simple practices that will freshen your breath and fight the bacteria that can cause a host of oral health problems like gum disease, tooth loss and oral cancer. Consistently brushing and flossing at least two times a day will ensure that your oral cavity will be fresh, clean and as healthy as it can be. It washes away leftover food that could contribute to foul breath. It also helps to fight bad breath by keeping your mouth moist. Keep in mind, though, that rinsing with mouthwash is merely supplemental and should not be substituted for brushing and flossing. Using a tongue scraper is another way to fight bad breath. It probes the tiny papillae that trap food and bacteria by gently gliding from the back of the tongue to the front. By removing the undesirables from your tongue, this method of oral hygiene also prevents the spreading of bacteria throughout your mouth. Along with making some changes in your oral hygiene regimen, you should also limit your consumption of foods that are known to contribute to bad breath like onions, garlic and others. If not, you run the risk of the smells filtering into your bloodstream and lungs and being exhaled when you open your mouth. Tobacco products are bad news, whether smoked or chewed. The toxins they release are detrimental to both your hygiene and your wellness. The only healthy option is to eliminate either habit completely. After a nice meal, you may prefer a mint, but your dentist says that chewing sugarless gum could help out much more in fighting bad breath. That’s because the chewing action stimulates your natural saliva production, which coats the enamel of your teeth and helps in fighting bacteria that are present in your mouth. Bacteria like to hang out in dry areas, so when you keep your mouth wet, you make it much harder for them to flourish. So whether you’re using chewing gum, mouthwash or some other method, a moist mouth is more conducive to better oral health and fresher breath. When it comes to having pleasant breath, the same methods that are used to accomplish that goal are also integral in maintaining a healthy oral cavity. To get the expert help you need in putting the pieces together, reach out to your local dentist to schedule an appointment for a semi-annual checkup. Soon, you’ll be able to walk up to a person and have a conversation with no worries! A graduate of the University of Texas Health Science Center in San Antonio, Dr. J. Robert Donnelly takes pride in making every patient feel special. 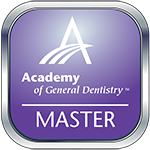 He has completed over 1500 hours of continuing education to earn the status of Master of the Academy of General Dentistry. 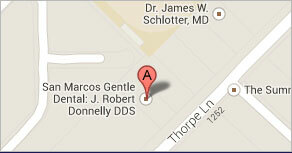 Dr. Donnelly changes lives at San Marcos Gentle Dental and can be reached for more information through his website. Comments Off on 7 Tips for Fighting Bad Breath from Your Dentist in San Marcos!